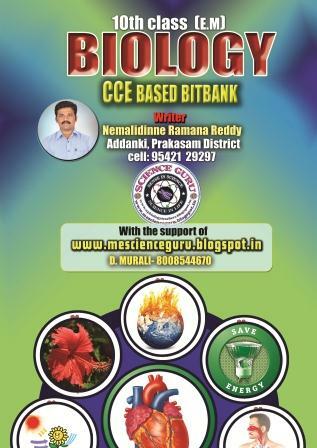 We, the team of Science Guru, have planned to bring the valuable and reliable bit bank for the students of X class as per the norms of SCERT. CCE is being effectively implemented in both Andhra Pradesh and Telangana states. Hence we intended to prepare this material as it can be a self learning material and also as the best practice material for the external evaluation. This material is featured with diagram based questions, application mode of questions, matching, tabular based questions and flow charts with attractive font size and pictures. We have taken a lot of a care to bring about this bit bank as a complete package for X class students. We hope this book will be warmly received both by teachers and students. The Bit bank has designed as per the CCE method of evaluation. This help the students in the form of practice MCQ and enhance their capacity to face the summative exams efficiently. 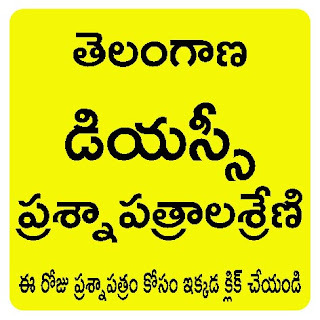 This Book Prepared by Nemalidinne Ramana Reddy, Prakasm Dist.